1. 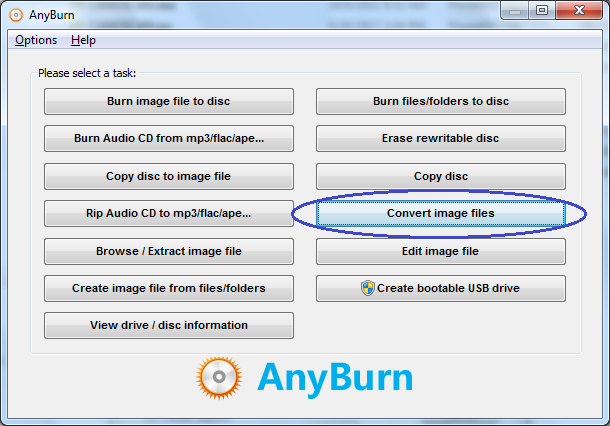 Run AnyBurn, and click "Convert image files". 2. 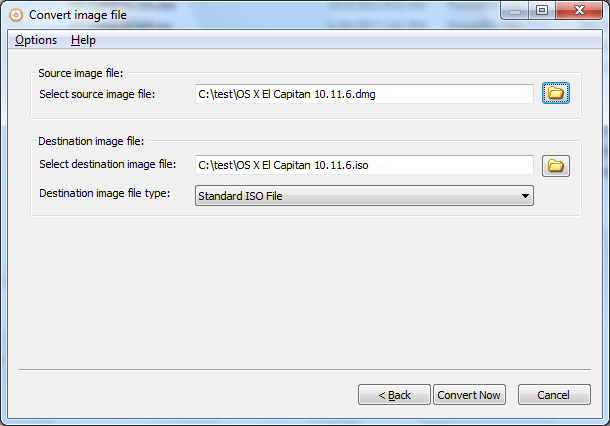 Select the source DMG file, and select the destination image file type to ISO format. Anyburn will create the default destination image file name based on the destination image type. The destination ISO file will be in the same folder of the source DMG file, you can change it if necessary. After you have made the selection, click "Convert Now" to start conversion. 3. 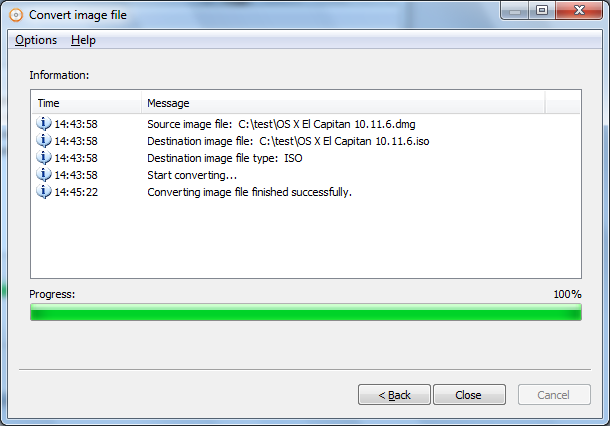 AnyBurn will start converting the DMG file to ISO format, and showing the conversion progress. 4. 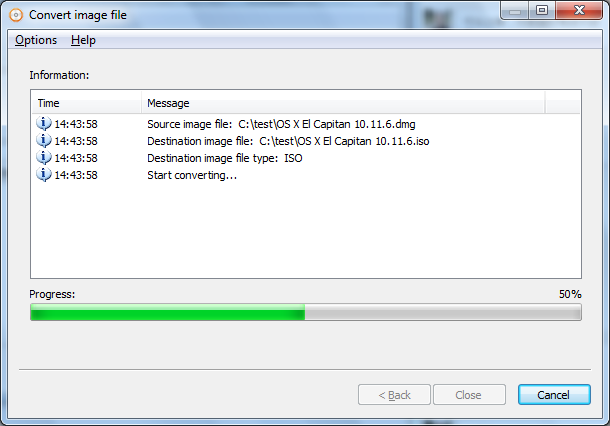 You should see the message "Converting image file finished successfully." when the conversion complete.